Shah Rukh Khan's much-awaited Zero has finally touched the Rs 50 crore mark at the box office. While his film made a collection of Rs 20.14 crore on Friday at the box office, the earnings of the movie saw a drop on its second day as it was only able to collect Rs 18.22 crore. As per initial reports, Zero made Rs 20.71 crore on its third day. 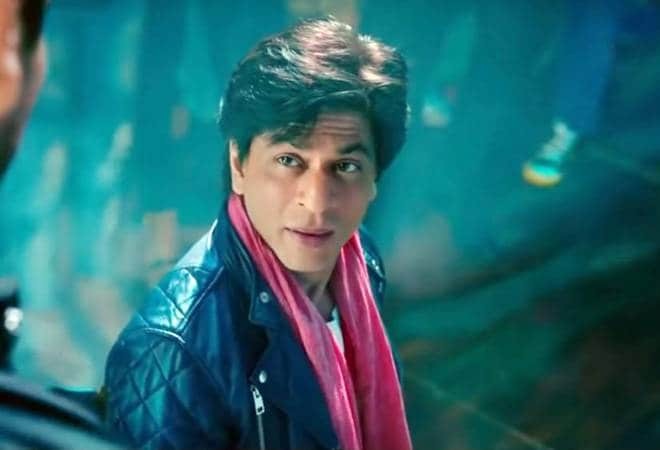 Shah Rukh Khan's Zero saw an uptick on its earnings on Sunday and managed a total collection of around Rs 59.07 crore in the first weekend of its release. #Zero has clearly underperformed... Remained on similar levels over the weekend... No turnaround / big jump in biz... #Christmas holiday [tomorrow] should boost biz... Real test on Wed and Thu... Fri 20.14 cr, Sat 18.22 cr, Sun 20.71 cr. Total: â‚¹ 59.07 cr. India biz. While Shah Rukh's portrayal of a dwarf named Bauua Singh has been praised, Zero underperformed on its first weekend, considering it is an SRK movie and one around holiday time. Despite massive promotions strategies like a Snapchat filter and a Twitter account for Bauua Singh, and release in approximately 4,380 screens, Zero hasn't been able to gain audiences' attention. Aanand L Rai's directorial Zero has also received mixed reviews from both the audiences and critics. Zero's disappointing collection might also be the result of the extensive competition it is facing from movies like Yash's KGF: Chapter 1, Rajinikanth-Akshay Kumar's 2.0, Dhanush's Maari 2 and with Hollywood's Aquaman and Spider-Man. Zero is a genre-defying story that revolves around a vertically challenged man, Bauua Singh, played by Shah Rukh Khan. He is caught in a love triangle with Aafia, played by Anushka Sharma, who is a NASA scientist with cerebral palsy and Babita Kumari, played by Katrina Kaif, who is a glamorous Bollywood actress struggling with alcoholism issues. The upcoming days will be very crucial for Zero as it still has a chance of cashing in on Christmas holidays and witness an upward trend.